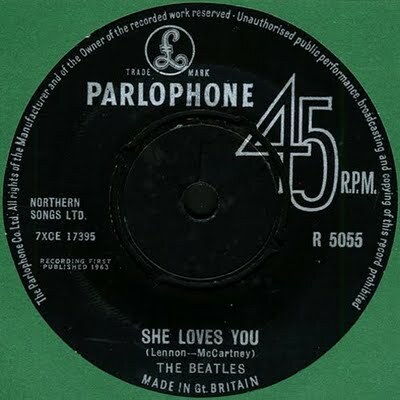 1964, Sales figures show that the Beatles’ “She Loves You” has sold 1.3 million copies in England, while “I Want to Hold Your Hand” has sold 1.5 million. 1968, The Who performed at Town Hall in Wellington, New Zealand. 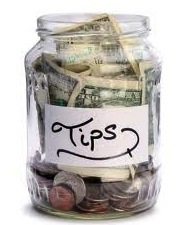 1969, Organist and singer Billy Preston signs with Apple. 1969, Led Zeppelin played the first of two nights at The Fillmore East, New York City during the band’s first North American tour. Porter’s Popular Preachers opened the night, then Led Zeppelin took the stage. It is alleged that Zeppelin’s show was so powerful and got such an enthusiastic audience that headliners Iron Butterfly refused to follow them. 1970, American blues musician Slim Harpo died of a heart attack while recording in London aged 46. 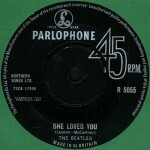 Had the 1966 US number 16 single ‘Baby Scratch My Back’. The Rolling Stones, Pretty Things, Yardbirds and Them all covered his songs. 1970, The Jackson Five went to number one on the singles chart with ‘I Want You Back’. The song was originally written for Gladys Knight & The Pips and was the first of four chart toppers for the group. 1971, Genesis appeared at City Hall, Newcastle, England. 1972, Yes played at Free Trade Hall, Manchester, England. 1974, Bob Dylan performed at Madison Square Garden, New York. 1975, Led Zeppelin played at Olympia Stadium, Detroit. 1976, Abba knocked Queen from the number one position on the UK singles chart with “Mamma Mia.” Queen’s single “Bohemian Rhapsody” had enjoyed a nine week run at the top of the charts. 1977, Aerosmith headlined at the famous Budokan in Tokyo. 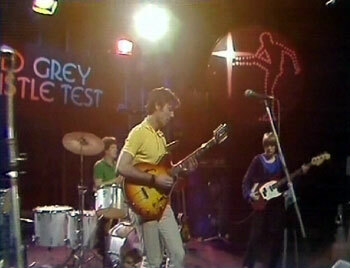 1978, Talking Heads made their UK TV debut on the The Old Grey Whistle Test. 1978, Greg Herbert, saxophone player with Blood Sweat & Tears died of an accidental drug overdose in Amsterdam, Holland aged 30. Blood, Sweat & Tears won a Grammy Award in 1969 for Album of the Year. 1980, Bob Dylan appeared at the Orpheum Theater in Memphis, Tennessee. 1981, Blondie went to No.1 on the US singles hart with “The Tide Is High,” the group’s third US No.1, also a No.1 in the UK. 1984, Blue Oyster Cult played at Hall Polyvalent, Schifflange, Luxembourg. 1987, Paul Simon went back to number one on the UK album chart with Graceland, the album stayed on the chart for a total 101 weeks. Graceland later won the 1987 Grammy Award for Album of the Year, while the title song won the 1988 Grammy Award for Record of the Year. 2009, Dewey Martin, drummer with The Dillards and Buffalo Springfield, died aged 68. The Canadian musician had worked with The Monkees as well.